Simon Morales is a member of the Florida Bar and has focused in the practice of criminal defense. Mr. Morales graduated from the Florida State University with Bachelor degrees in Psychology and Criminology. He earned his J.D and LL.M from the University of Miami School of Law. 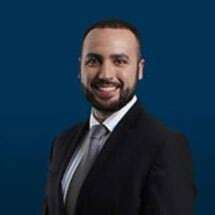 While in law school, Mr. Morales worked as a Certified Legal Intern at the Miami-Dade Public Defender's Office and received extensive clinical experience in Immigration and Federal Appellate Law. He has received awards for his academic achievements and commitment to public service. Since graduating law school, Mr. Morales has dedicated his experience and expertise to defending the firm's clients.